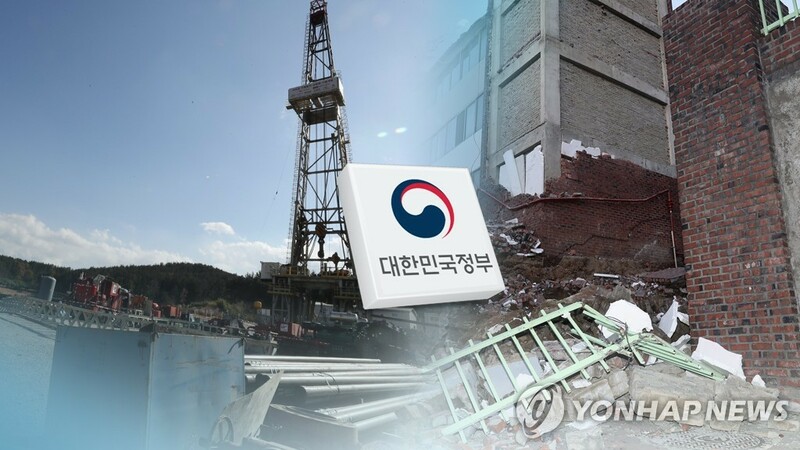 SEOUL, March 25 (Yonhap) -- South Korea's government said Monday it has requested the Board of Audit and Inspection (BAI) to look deeper into alleged problems behind the geothermal power plant that apparently led to the country's second-most destructive earthquake. The Ministry of Trade, Industry and Energy requested the board to carry out a thorough investigation to find out any problems associated with the project, including the choosing of the plant's site. The decision came after a state-led investigation team claimed the 5.4 magnitude earthquake in November 2017 that struck the southern industrial city of Pohang could have been triggered by a nearby geothermal power plant. The team argued the quake that caused considerable damage was not natural in origin. This has led to criticism that the government did not properly carry out preliminary research before building the plant. The ministry said it decided to ask BAI to carry out the probe as the issue called more for a concerted investigation than an internal audit. The ministry vowed to cooperate with the board throughout the investigation and added it will make efforts to clear any doubts. The government also plans to operate a special team devoted to dismantling the geothermal power plant site and communicate with citizens of Pohang in follow-up measures, the ministry added.